What is encryption? Data encryption is the translation of data into a secret code. Encryption is the most effective way to achieve data security. Encryption, is the process of encoding information in such a way that only the person (or computer) with the key can decode it. The primary purpose of encryption is to protect confidential digital data stored on computer systems or transmitted over the internet or other computer networks. Diffie-Hellman and RSA led to the broad use of encryption in the commercial and consumer realms to protect data both while it is being sent across a network (data in transit) and stored, such as on a hard drive, smartphone or flash drive (data at rest). Devices like modems, set-top boxes, smartcards and SIM cards all use encryption or rely on protocols to encrypt sensitive data. Encryption is used to protect data in transit sent from all sorts of devices across all sorts of networks, not just the Internet; every time someone uses an ATM or buys something online with a smartphone, makes a mobile phone call or presses a key fob to unlock a car, encryption is used to protect the information being relayed. 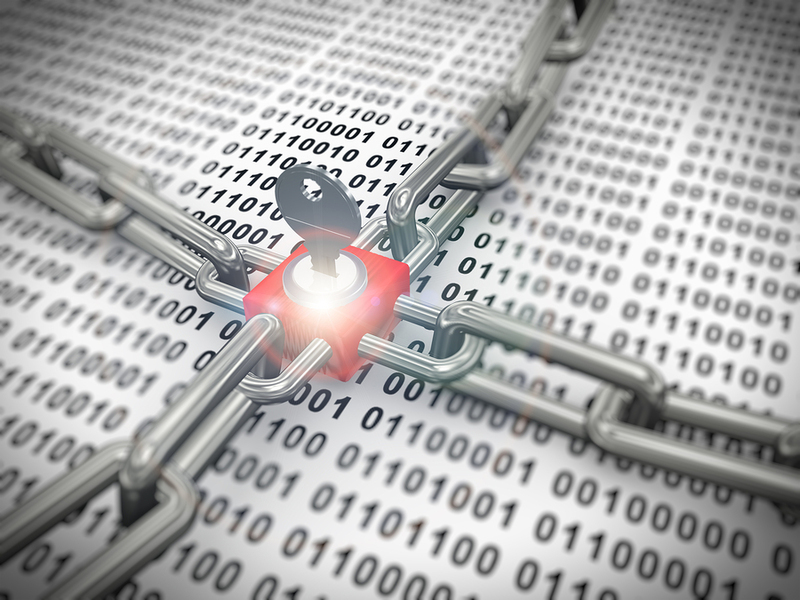 Digital rights management systems, which prevent unauthorized use or reproduction of copyrighted material, are yet another example of encryption protecting data. If you are looking for a cloud service or document scanning program that securely encrypts your data, Record Nations is here to help. You can trust that your data will be completely secure and handled by helpful professionals. Protecting your data is just one of the things that you should do to protect your business. Many businesses rely on their data to help keep them ahead of the competition. Whether your data is the latest software designs or sales contact information, it’s important to keep it safe. Take the proper steps to protect the data that keeps your business operating from day to day. A good back up system will include offsite storage to protect from fire and other disasters. It should also include a redundant system so that you can access the information that you have lost, or that is stolen.